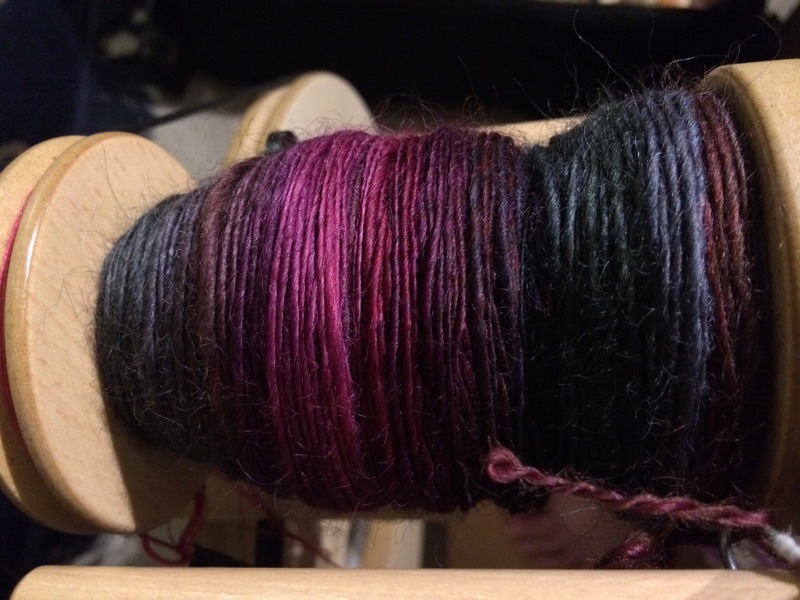 A few nights ago, I started a new spinning project. It’s wool from our last stash exchange, though I have no info about the fiber content, etc. all I know is that it’s 16 ounces. !!!!! 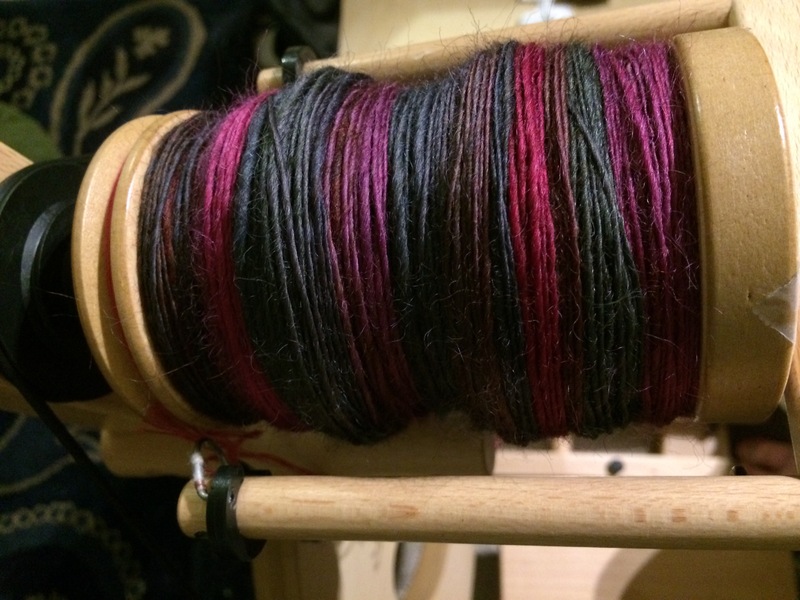 It’s not super soft, and though it is kind of twisty, if I pre-draft conscientiously, it spins smoothly and evenly. And it’s pretty!!! What am I going to do with a pound of yarn? ?